Harold Lee Hosley, Jr., 81, of Beaufort, died Wednesday, January 16, 2019 at Brookdale Senior Living Morehead City. A memorial service will be held 3:00 pm Saturday, February 9, 2019 at The First United Methodist Church, Morehead City, with Rev. Sarah Williams, and Rev. Patrick Whaley officiating. The family will receive friends in the church atrium following the service. Mr. Hosley was born, January 3, 1938, in Greensboro NC, to Harold Lee Hosley and Frances Sheppard Hosley. 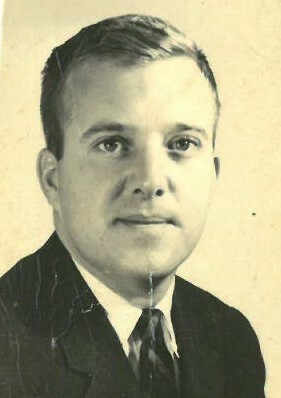 He attended Campbell College before entering the United States Coast Guard where he served from 1958 to 1962. He married the Miss Julie Brinson in Morehead City on November 24, 1962 at the First United Methodist Church. Harold retired from Sears in 1990 and enjoyed his retirement by working at the Crow's Nest Marina in Atlantic Beach. He is survived by his wife, Julie B. Hosley of Beaufort; two sons, Thomas Hosley of New Bern, and Mark Hosley and his wife Robin, of Wilmington; three grandchildren, Tanner, Ella and Luci; two nieces, Lynn LaFontaine Trotta of Wilmington and Mary LaFontaine Olilla of Chapel Hill; one cousin, Jamie Scharpenburger of Central, SC. In addition to his parents, his sister, Frances Hosley LaFontaine, preceded him in death. In lieu of flowers donations may be made to the charity of one’s choice. The family would like to give a special thanks to all the wonderful, caring staff at Brookdale Senior Living.